Presidents Awards for their contribution to Munster Cricket went tp Dave Ramsay of Co Kerry and Tom O’Regan of Waterford & District recognizing their efforts to get the new grounds at the Oyster Oval and WIT up and running together with their long service to their clubs over many years. 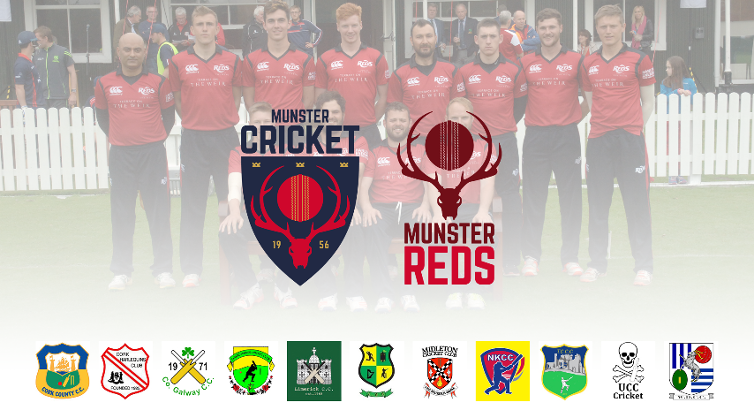 New awards were made to the leading batsman and bowler for the Munster Development team which played 7 games in 2017. The leading batsman was Mortaza Sidiqi who scored 137 runs at an average of 20 with a top score of 61 and the leading bowler was Senan Jones who took 16 wickets at an average of 9.31. Awards were also made to Senan recognizing his selection for Ireland U17 and to Aaron Cawley for his selection for both Ireland U17 and U19 in 2017. Finally, medals were presented to the members of the Munster U15 squad who had participated in the Leinster U15 A league during 2017.